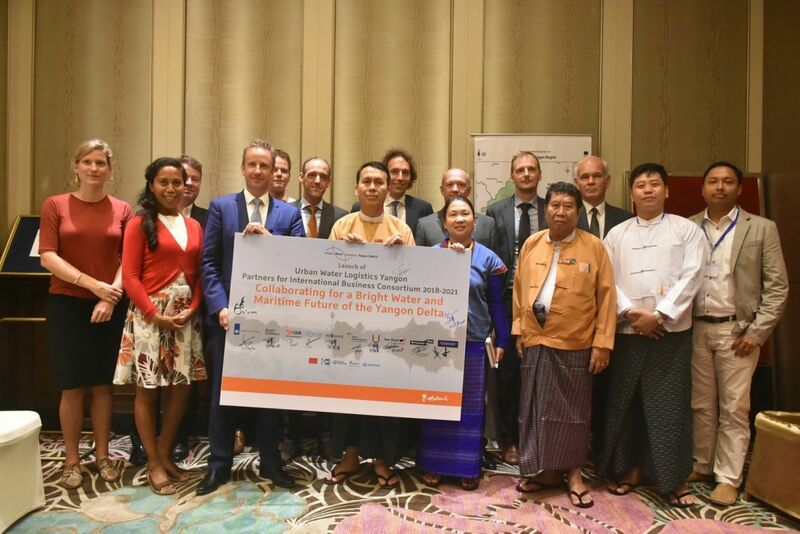 A strong coalition of Dutch companies and organisations has signed an agreement to jointly invest and collaborate in a comprehensive 3-year program to support the Yangon Regional Government in addressing critical challenges related to Urban Water and Water Logistics. The agreement is signed under the Dutch government Partners for International Business (PIB) program. The agreement delivers on a promise by the coalition to H.E. Phyo Min Thein, the Regional Chief Minister of Yangon, in June this year, when he visited the Netherlands. During this visit, he requested Dutch expertise and advice on key topics related to Urban Water: water supply, water resources, water governance and water innovation; and Water Logistics: Yangon sea port, river transport, river dredging and river tunnelling.